A jaded child abuse survivor tries to save a young girl from suffering the same fate in Miss Baek, Lee Ji-won’s first feature, which has Miss Bala been doing brisk business since its domestic release in South Korea on Oct. 11. With double the box-office gross of A Star Is Born (which bowed two days earlier on just a fraction fewer screens) during both films’ opening weekend in the country, the indie drama is now just a whisker away from overtaking Lee Chang-dong’s much more critically Crossroads One Two Jaga acclaimed Burning in terms of total revenue. 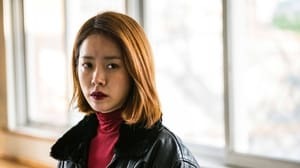 While offering hardly a subversive take on films about child abuse (such as The Silenced) or headstrong female protagonists (Sympathy for Lady Vengeance and the more recent The Villainess come to mind), Miss Baek is bolstered by a strong against-type performance from Polaroid Han Ji-min, whose onscreen persona is drastically different from her more glamorous metier (ranging from her appearances in period dramas and romantic comedies to her role as the compere of the Busan International Film Festival’s opening ceremony on Oct. 4).